Choosing the sunglasses might not easy. Pick the sunglasses that suit with your styles, your cloth or even your lens guide definitely affect to your outlook. Not for décor, we all know that sunglasses will protect your eyes from the UV light which might cause eyes problems. That is why people often need at least one new sunglasses that is right for their face, their styles and emotional need. 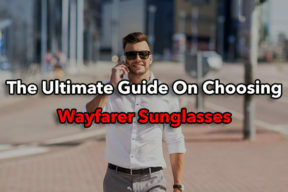 In this talk let together figure out some buying guide that help you choose the right pair of sunglasses. 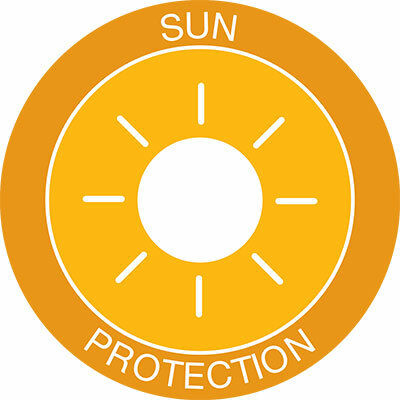 UV protection is the first thing you need to consider before picking sunglasses. 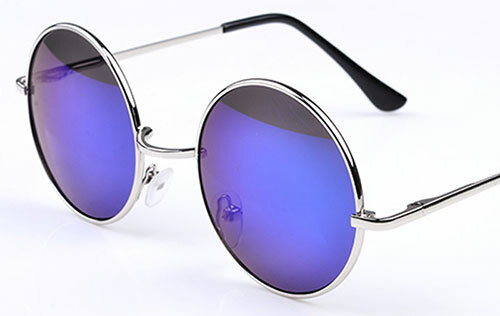 Some people of choose sunglasses as a fashion accessory and forget about the main purpose of sunglasses is protect eyes from ultraviolet light. A pair of sunglasses is necessary for anyone who has to approach to high levels of UV lights. Especially If you get sunglasses for outdoor activities such as: water-sports, snow-sports or even for driving. You should look for the pair of sunglasses that block at least 99% UVB and 95% of UVA rays. For fishing or water sport the polarization sunglasses will be the best it providing more sun protection. The frame size includes eye size, bridge size and temple size. 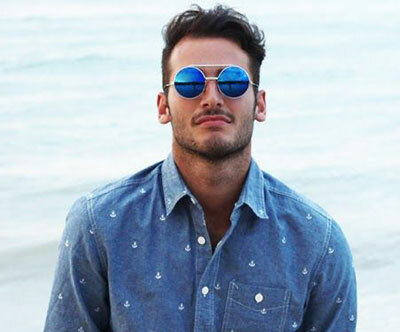 The right frame size that actual fit your face will bring about nice look and comfortable. You know that smaller frame size will be fit well for small face and the bigger is better for large face. Each size will help soften your features and make your face balance. 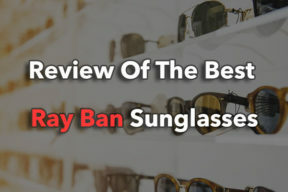 Besides that, you also need look through the materials of the frame, the stainless and firmly metal structure will bring more safety and functionality on your new sunglasses. But nylon and plastic will bring more comfortable. 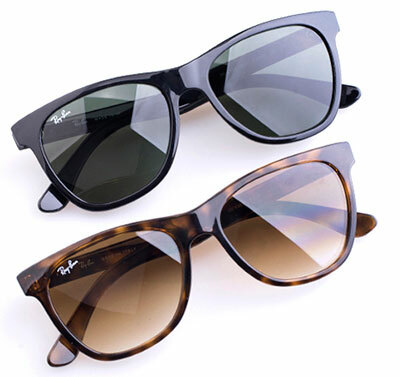 Obviously, different material also affects the price and style of the sunglasses. So just find out which benefits you want before choosing the right material of sunglasses. Optical glass: This lens is round and polish. 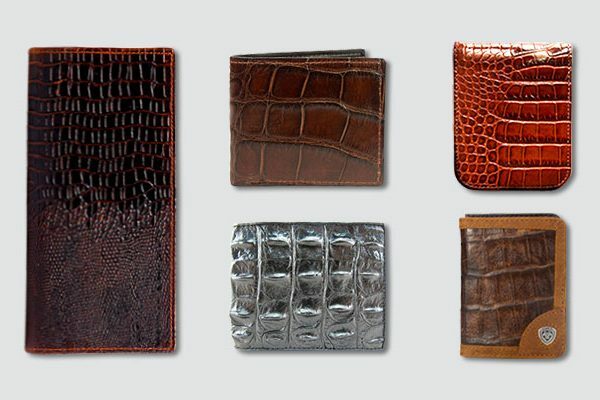 It is extremely durable and scratch resistant. However it seems more expensive and sometime spider or break when impacted. Polycarbonate: This lens material is virtually indestructible as it made from a similar material that use as aircraft windshield. 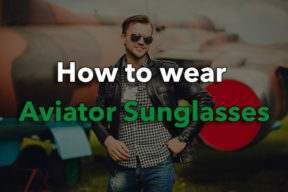 That make it is the best for people who often moving their sunglasses. Polycarbonate is 50 times more impact resistant than optical glass. But there still some disadvantages that is clarity and scratch resistant level. NXT Polyurethane: NXT combines all benefit of the Optical glass Polycarbonate material. It is made from Trivex, an advanced polymer material which is extremely impact resistance, superior optical clarity and ultralight weight. Acrylic Lenses: This is the most expensive material of sunglasses. 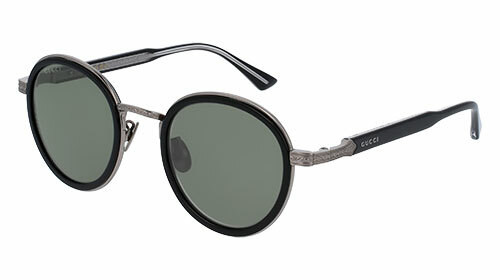 I think it just suit for fashion sunglasses because it is both not durable and not as good as at clarity. Len colour will lead to different lighting condition or even affect your styles. The different of lens tints provide different look that make the sunglasses fit well for certain activities. The dark coating will not good at blocks UV light than the clear. Yellow tints will make difficult to distinguish changes in traffic light but the gray, brown and green will minimize colour distortion. For more clearly let cover some different colour of the lens tints and coatings to figure out the best sunglasses for certain situation. This neutral colour will cut down the intensity of light without changing colours of things. The darker tints will cut the glare and reduce eyestrain in brightness conditions. This gray and green tints is good for driving when you need to reduce the glare without changing the colour of around things. Brown is the best for enhance quality of light. The brown tints increase contrast and depth perception. However they might cause colour distortion. It just fit well for bright light. Those tints colour enhance contrast and depth perception. This colour of tints blocks almost blue light that keep it fit well for hunter to target against sky. It also good for low light condition such as: snow weather especially for snow-sports but it is not a good idea for driving. Rose and vermilion provide great lowlight image resolution, it also enhance contrast. It also reduce eyestrain than the other colours. 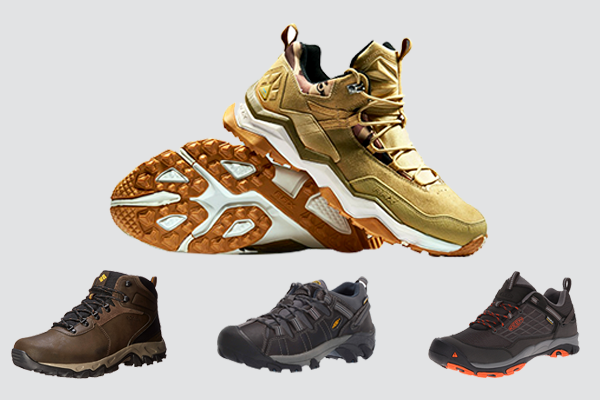 This light colour also the best for snow sport and hunting because it against open environment. The blue and purple don’t have much functional value. 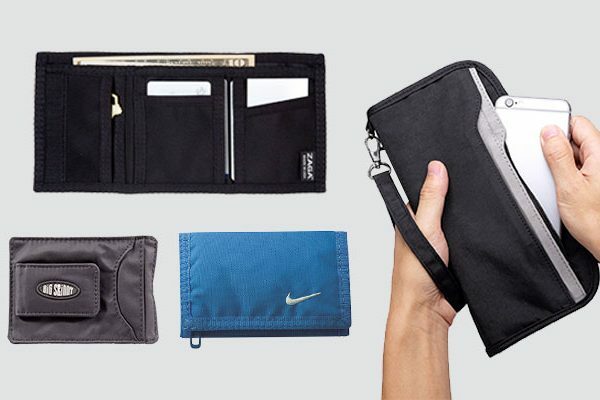 It just fit well for fashional requirement. The violet tints are good for hunters who need to see clay targets on a green background. Sunglasses are more important. So using it as your daily habit like using sunscreen on summer days is necessary. 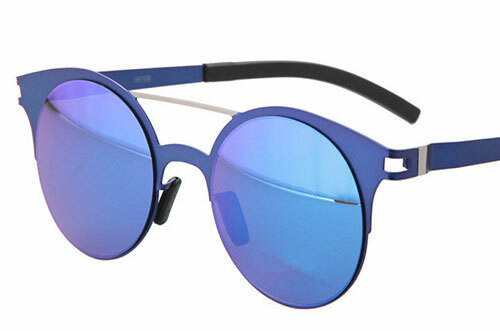 Whenever you outdoor keep on the round sunglasses to protect your eyes from the UV light. To help you choose the right size of sunglasses let together check some size of this glasses. The sunglasses protect both your eyes and your skin against the UV light damages. The bigger tints will block more light, it cover larger area of your skin too. That is why you should choose the sunglasses that come down to your cheekbones. 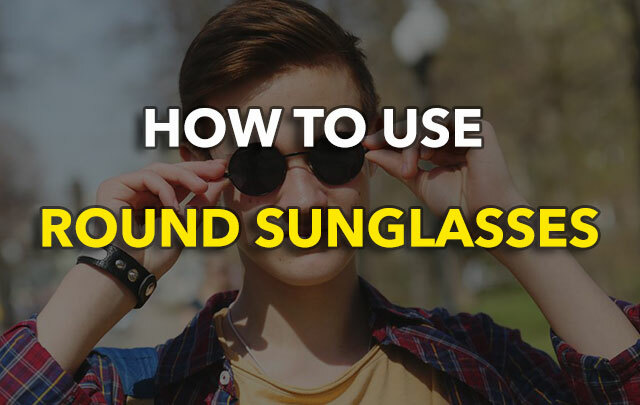 The sunglasses that perfectly fit on your nose and ears will bring you more comfortable. It also prevents light hitting your eyes and your skin. 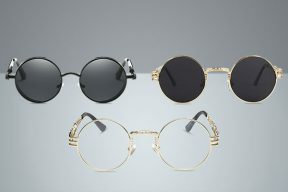 Oval face is the “perfect face shape” that easy to fit well for any styles of sunglasses because their balance features of chin, nose and forehead. So you just need to take more consider on the sunglasses styles and colour to pick the best that suit your characterised. 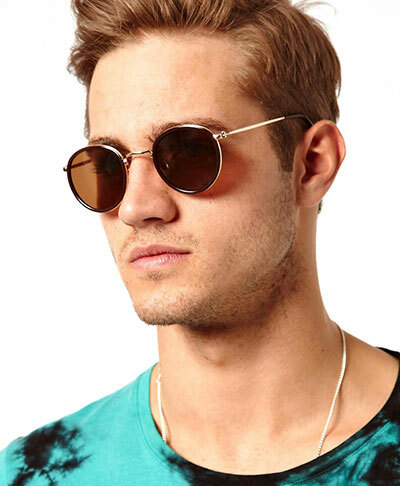 The round sunglasses will help you balance out your face shape while still highlighting your facial features. 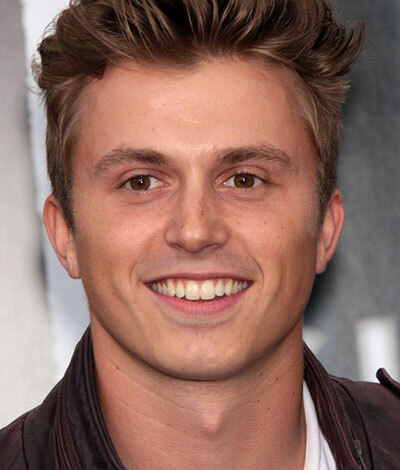 Your strong jawline and wide cheekbones will be part cover by the sunglasses. 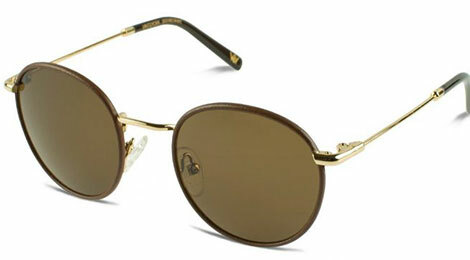 The wider sunglasses with round lenses and slim frame are the best for square face. It will soften your features. However you still can choose the square shape of the tints if you want to look more intimidating. The key for square face is: choose the larger size that at slim frame and avoid narrow rectangular glasses with angle corners. 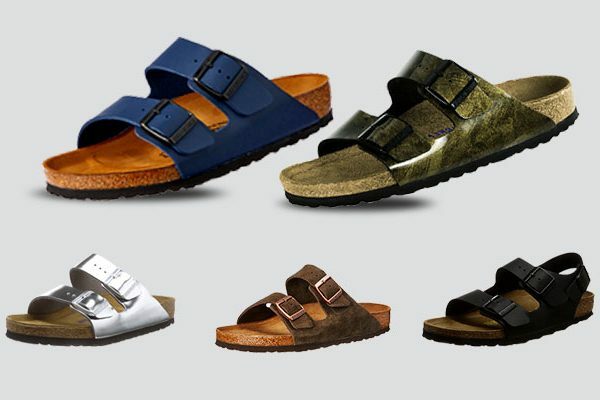 Because those styles might clash you feature. If your face is in heart shape you should immediately pick the round sunglasses. It will help you add balance to the often-tricky shape. 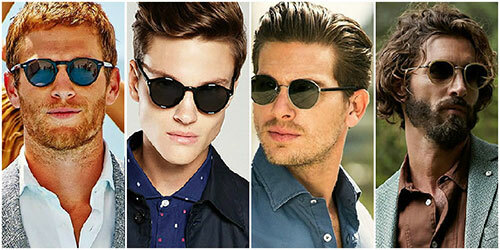 Wear the tapered sunglasses also the best for heart-shaped face. 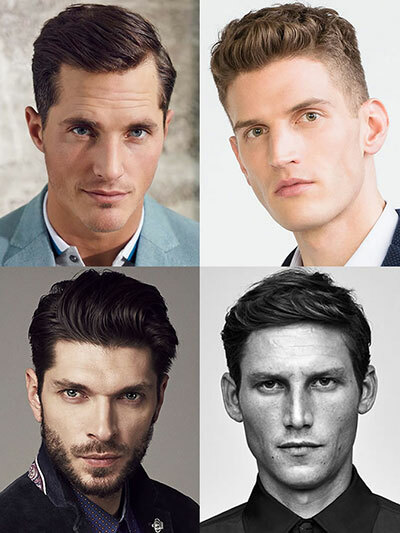 If want to draw attention on your chin, let try lenses that taper down from top to bottom. A butterfly tapers also the best choice that help draw the eye toward the center of your face. 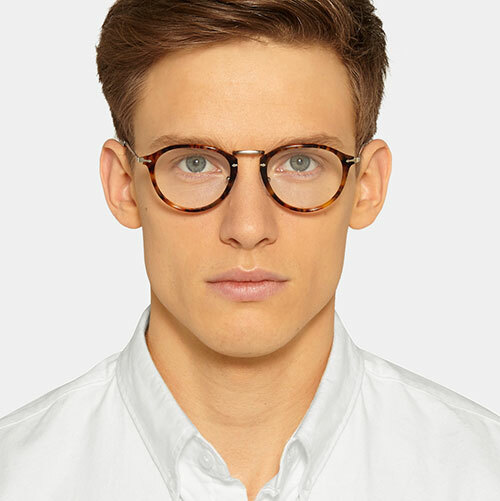 The longer face that comes along with straight jawline and long nose will be fit well for large sunglasses. This style of glasses will balance your features and make it more harmonious. 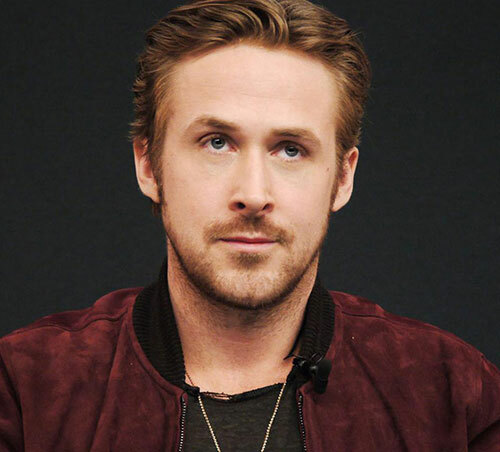 A round face has plumper cheeks and chin. If you have a round face that has plumper cheeks and chin. The polygonal or square sunglasses that have angle designed will be fit well for you. It will make your face thinner and longer. A butterfly taper also suit for round face, its lenses taper down to make your face more bright however you still need avoid too evenly round or boxy styles. Most people don’t care about the fitness of the glasses with their face. 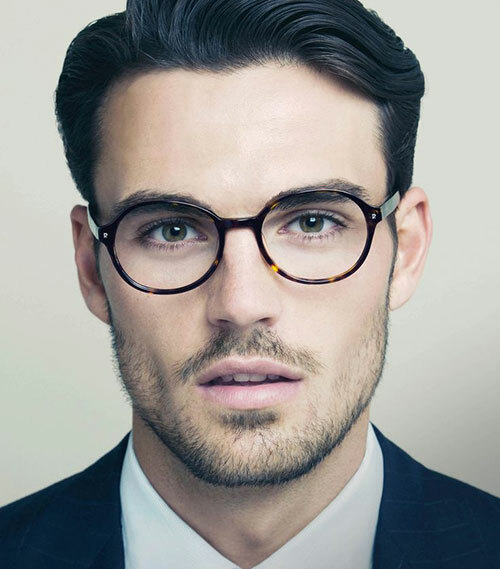 There is nothing wrong but choosing certain spectacle styles tends to look better for your specific face shapes. That will make your face bright and vivid. When put the glasses on, you should lightly hold the front of the frame with both hands to reduce strain on the frame. Then you slide the arms over your ears and lower the frame gently onto your nose. You should wear the sunglasses close to your eyes. And do not keep them lower down the bridge. This position might un-comfort at first but this hard feeling will quickly ended and give you the most visibility. When you have your glasses on, use your forefinger touch the nose-bridge and push the glasses up. It will keep the frames sit comfortably on the top of your nose and between your eyes at the apex of your forehead. Don’t stretch them out. Remember that don’t rest your glasses on top of your head. It might cause your glasses out of shape. When using the glasses, how to keep it always bright and clean is more important. You should regularly wipe glass with a small piece of soft cloth. 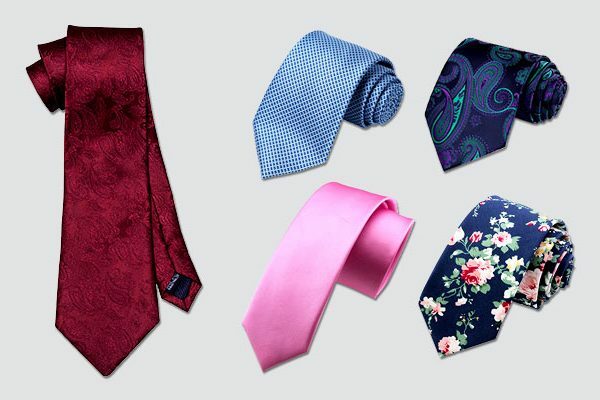 A piece a damp cloth will remove persistent stains easily. When you put the sunglasses on for a long time it might lead to oil from your skin and dirt from outside. On that case you should clean the glasses with mild soap and water with a piece of dry cloth. 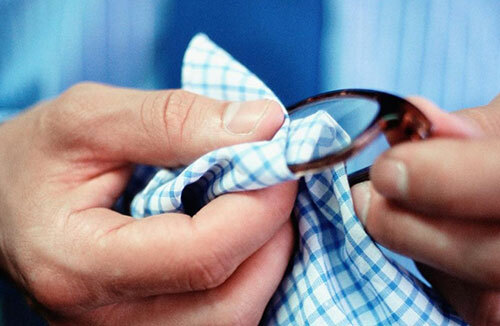 Avoid wiping your glasses on your own clothing or hard cloth because it can lead to hard stains or scratchs the surface. Remember that you should avoid touching your tints with your fingers. This might smudge your glasses with fingerprints and bacteria. It totally makes you annoy because of a lot of wiping. Remove your glasses the right way. Don’t think that you can take your glasses off in any ways. That is totally wrong because if you bring more force when put down your glasses it might cause some problems such as: fall down the glasses or even break the frame. You have to carefully using your both hand to slide your glasses forward. When you take off your glasses make sure that you fold and keep them properly. 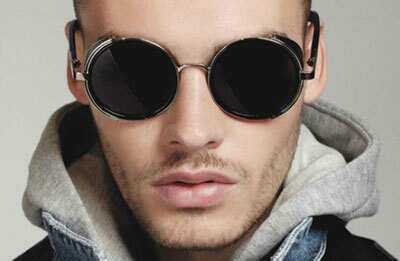 Finally you might see that choose the best round sunglasses are not easy as you think. Those are a lot of things you should consider before picking the right sunglasses for each condition. 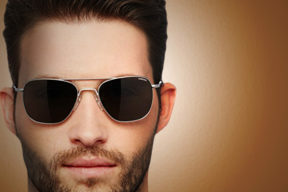 Even your face shape, your characteristic will decide which styles and size of the sunglasses will fit well. 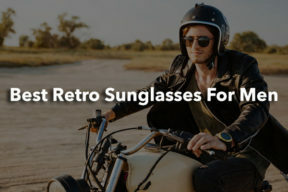 So don’t hesitate to spend time looking through some sunglasses styles immediately and get the overall information about the best round sunglasses for you.